Oh, this looks so tempting! I have received two copies of the most recent Williams-Sonoma catalog and I keep one on my bedside table so visions of this will dance in my head while I sleep. Better my head than on my thigh, I guess. Mimi, sweets and holidays are so bad around my house ~this really is a wonderful treat if ever you see it around. Don't you just love that catalogue? Some of the recipes they print are fabulous! Oh, those copper pans...now that's something to dream about! Ah, the windows of bake shops in Italy never fail to tempt! That picture brings back so many memories. 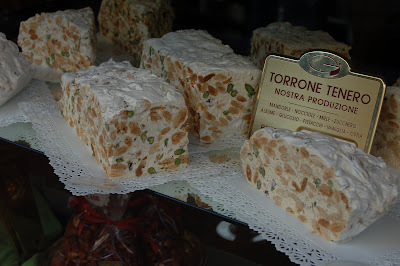 Although I never tried torrone, it was one of the many exquisite treats that would catch my eye when walking through Florence or Siena last year. I'm thinking of making a Panforte for the Christmas holidays! Hey Jann, I have that catalog and just keep drooling over all the candies in it. Your photo's of the Torrone candy are great! I try not to indulge in very many sweets, except during the holidays! I am so glad you like torrone. During the Holidays, it's a must eat. My favorite torrone is the one enveloped in dark chocolate. Yum! They make a version of this in Spain (and Andorra) but not France! I wonder why the tradition skipped a country...maybe it's the Moorish influence. Whatever, I agree, it's yummy! Generally speaking, I don't have a sweet tooth but these Torrones look so appealing. T.W. ~When you make the Panforte, please be sure to post it ~I would enjoy seeing how it turns out! Winedeb ~We have to indulge a few times around the holidays~I always seem to over-do it, though~thanks for stopping by! Katiez ~I do not know how anything could have skipped France! You could start to make this and start your own tradition!P.S. 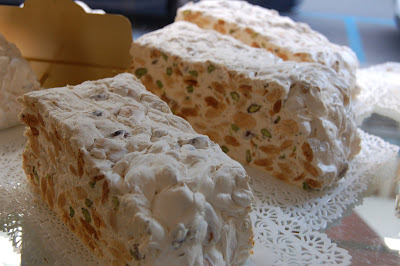 I am still thinking about moving to France ~no joke......I'll bring along extra torrone! Christine ~You guys have so many wonderful places to find things in CA ~I am so jealous! Hope you find the chocolate version~That must be really delicious! 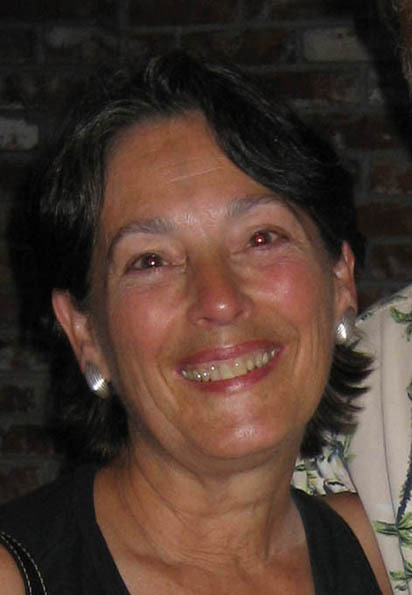 Cynthia~ Hello there and thanks for stopping by. I really need to catch up on all my favorite blogger-posts...How can you not have a sweet-tooth? We can send you recipes and change all that for you , if you wish. Cheers to you! Like Katie, I know the Spanish version but it doesn't look quite the same...although I've only tasted packaged versions that people bring back from trips. It also reminds me of some of the locally-made "nougat" from the Provence area. It looks gfeat, at any rate! 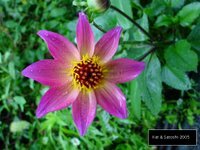 Betty~ I think that it is very similar to what you have tasted from Provence~thanks for visitng! Yikes, I haven't tried this. Sounds like I've been really missing out on something really good.